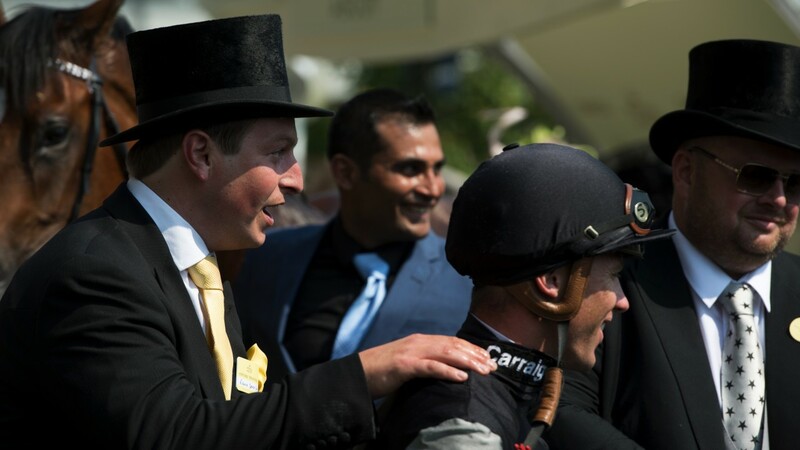 Trainer Richard Spencer believes Rajasinghe’s performance on the clock when winning the Coventry Stakes at Royal Ascot marks him down as a special horse despite the lowly Racing Post Rating he recorded in victory. Rajasinghe provided Spencer, and owner Phil Cunningham’s Rebel Racing, with a memorable success in the Coventry, overcoming a slow start and a bump to race through in a course record time of 1m 12.39 secs on good to firm going. While praising Rajasinghe for overcoming adversity to win, Racing Post handicapper Simon Turner rated him the lowest winner of the race since Henrythenavigator in 2007. Spencer said: “I read in the paper today that they’re putting the race down and saying it’s one of the lesser Coventrys run in the past years. Having put in a big effort on the clock, Rajasinghe has shown no ill-effects with Spencer impressed with the attitude the juvenile continues to show. Looking to the future, Spencer nominated the Group 1 Prix Morny at Deauville in mid-August as a tempting target with scope for action between Royal Ascot and then should Rajasinghe show himself ready for an outing. He said: “The plans are up in the air. We’ll see how he is this week and we’ll enter him in multiple races. The July meeting is on our radar, there’s Goodwood and there’s even Deauville for the Prix Morny. The horse will tell us when he’s ready to run. He's phenomenal."